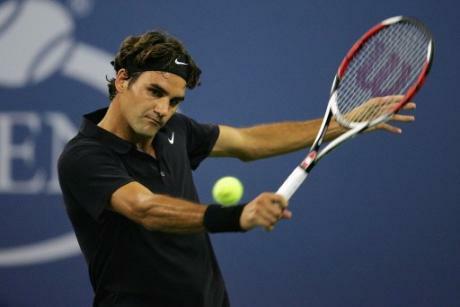 This weekend brings the third round and quarter finals for men and women’s singles at the US Open. One of the biggest stories is Roger Federer…once again. Roger is going for his 4th straight US Open title and by luck of the draw will not have to face a seeded player until the quarter finals! Roger is truly one of the best athletes of our time. There are not many people that have dominated a sport like he has. Since winning Wimbledon in 2003 Federer has won 11 of the 17 grand slam tournaments. That’s a 65% winning percentage! If things go as planned Federer will meet his biggest American opponent in Andy Roddick in the quarter finals, but Federer has dominated Andy and I wouldn’t expect that to change. If you follow tennis at all you would expect to see Nadal facing Federer in the finals, but Nadal’s knees have been bothering him and I would be surprised if he can hold off the pain playing on the hard court surface of Flushing Meadows. Third seeded Djokovic beat Federer in Montreal as a prelude to the US Open so it would be interesting to see a rematch under the lights, noise and pressure of New York.